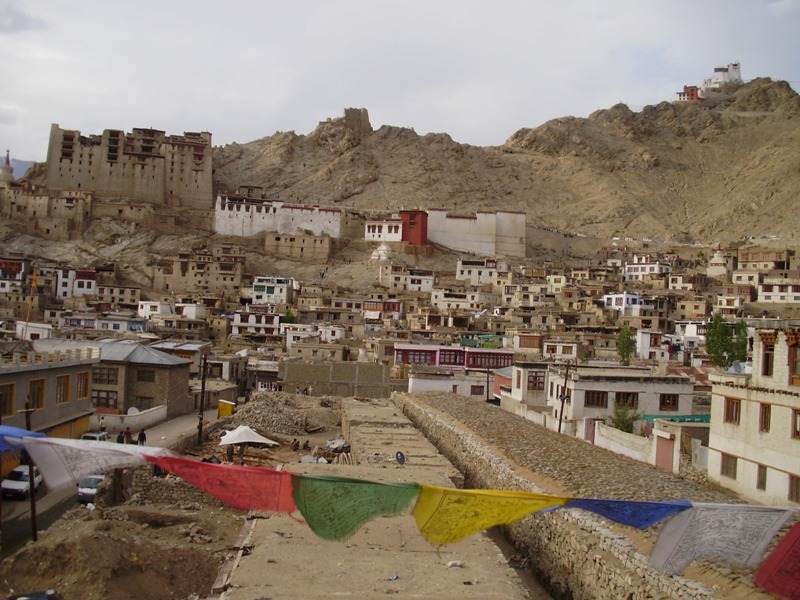 I’ve always wanted to visit Lhasa, but when I looked for information on how to get there, I realized that getting to Tibet is too difficult. 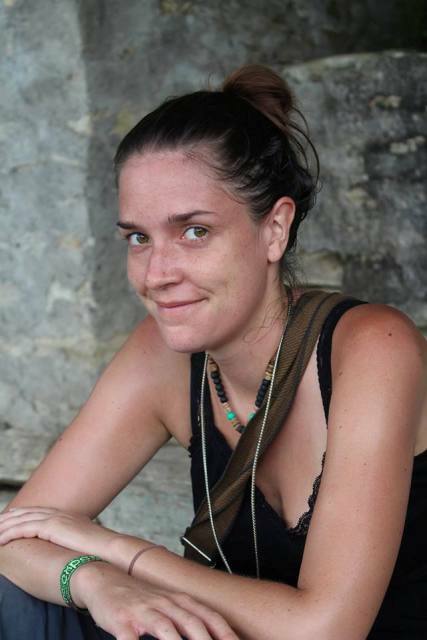 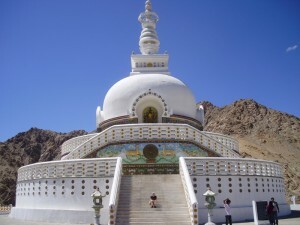 When I found out that there is an easier way to get to a place that is very similar to Tibet, I didn’t hesitate and I included it into my itinerary for my first trip to India. 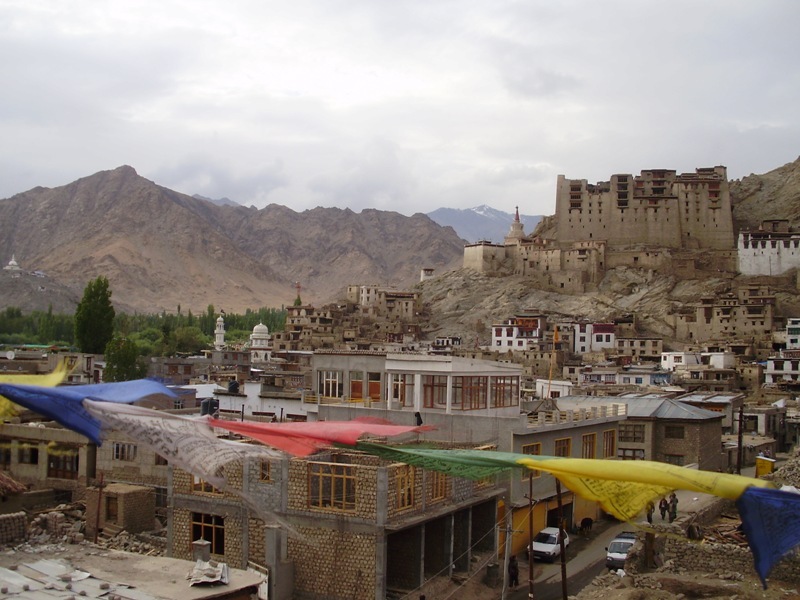 And this place, Ladakh with its capital Leh, I liked so much that I returned to it during my second trip. 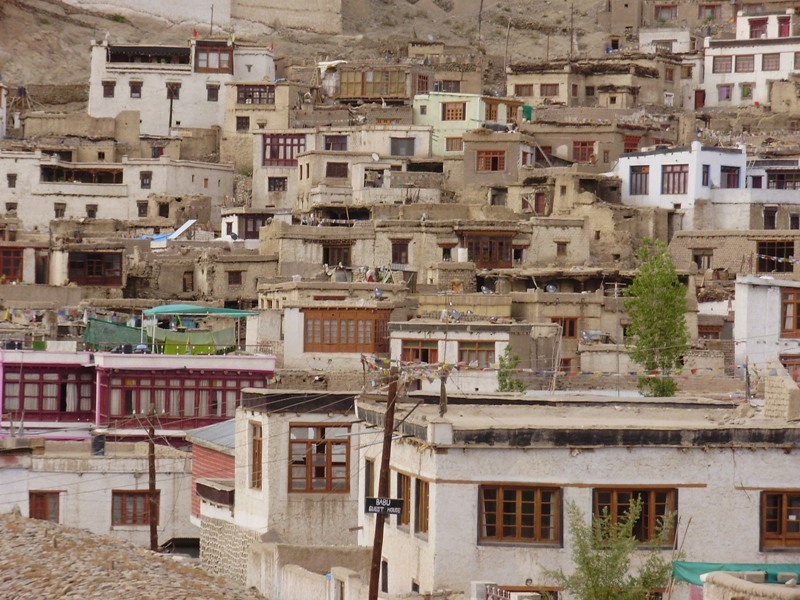 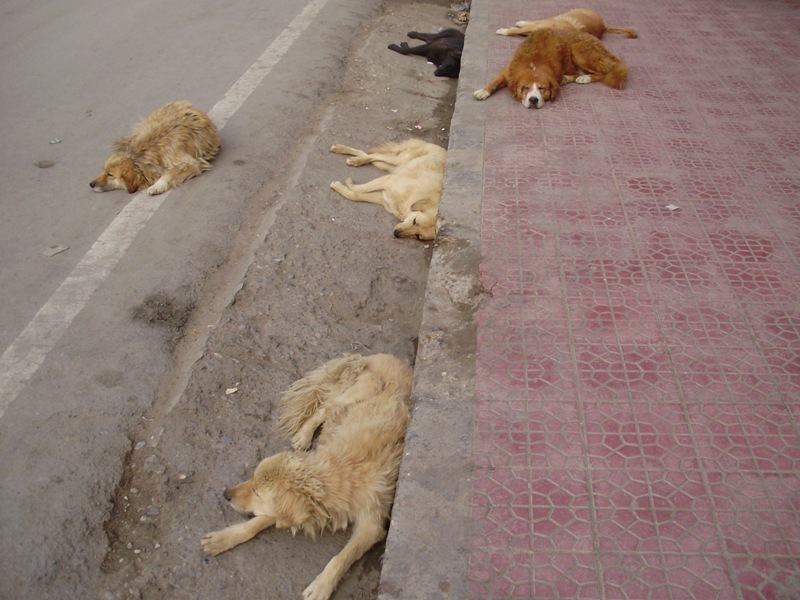 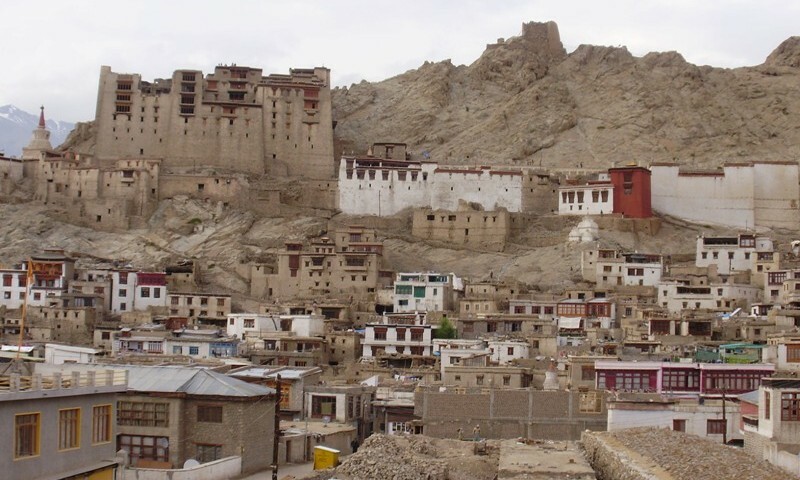 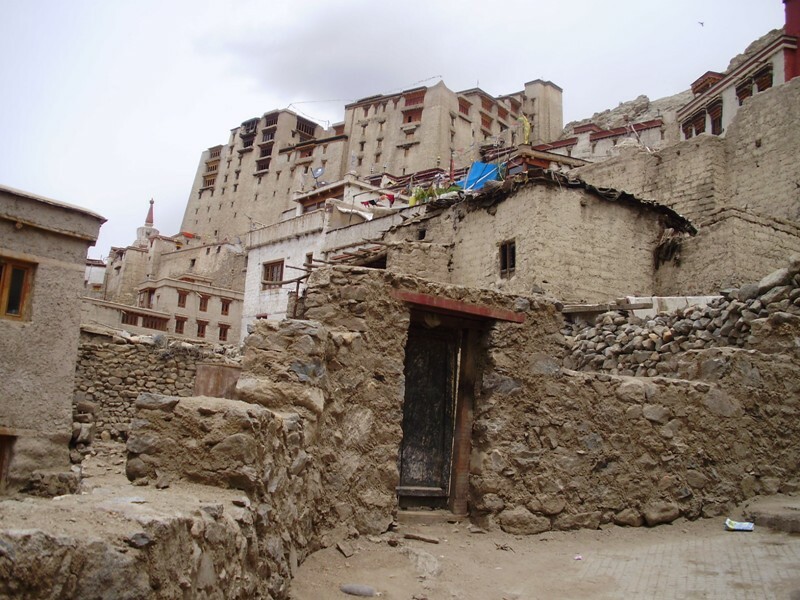 Leh is really similar to the Tibetan capital Lhasa and Ladakh to Tibet. 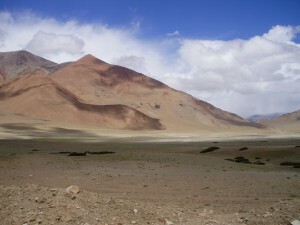 Therefore, Ladakh is also known as Little Tibet. 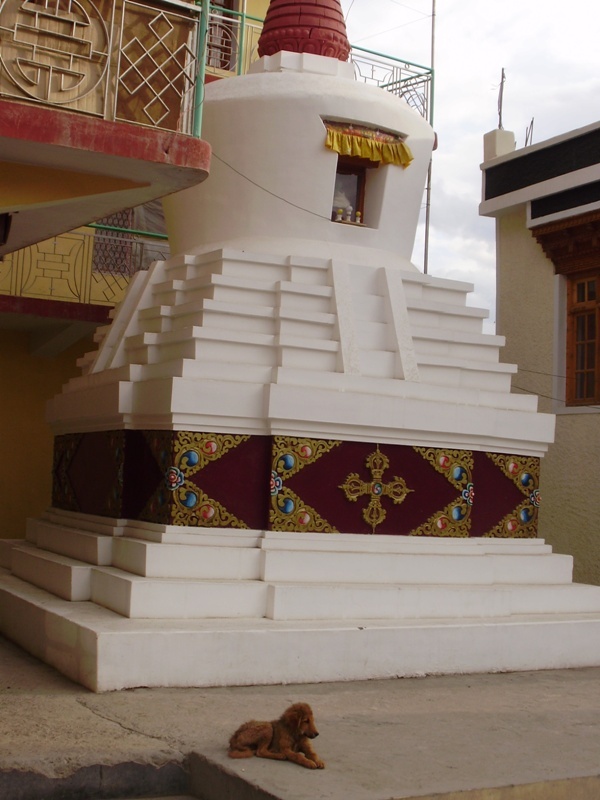 It has always had a very strong Tibetan Buddhist culture dating back hundreds of years with monasteries and mystic lamas covering its high altitude mountainous landscape. 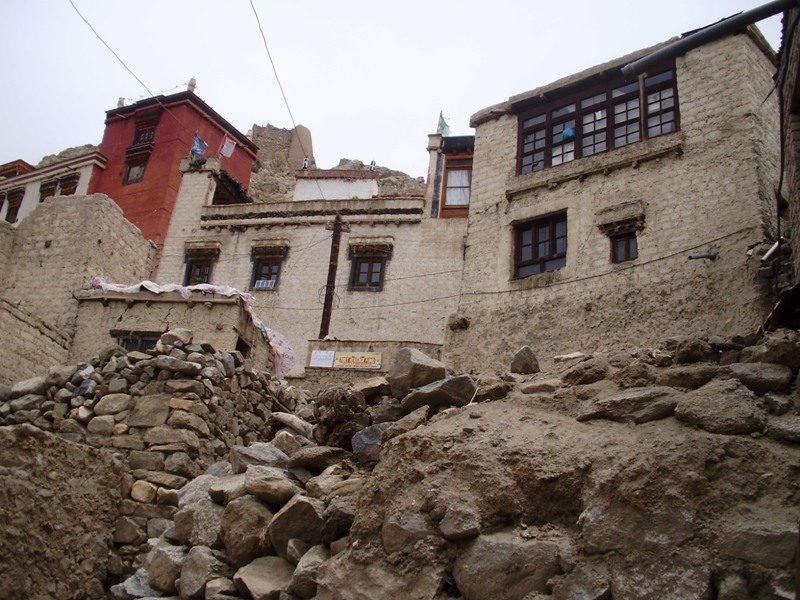 Another major influence in the region is Tibetan settlement at the behest of the Tibetan government in exile. 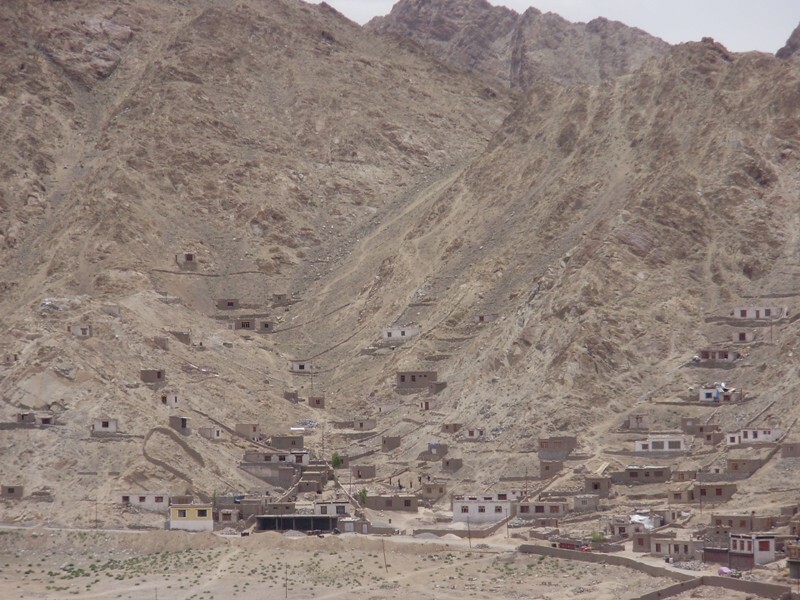 The settlement was first established in 1963 with almost 3,000 residents but today it has more than 7,000 settlers. 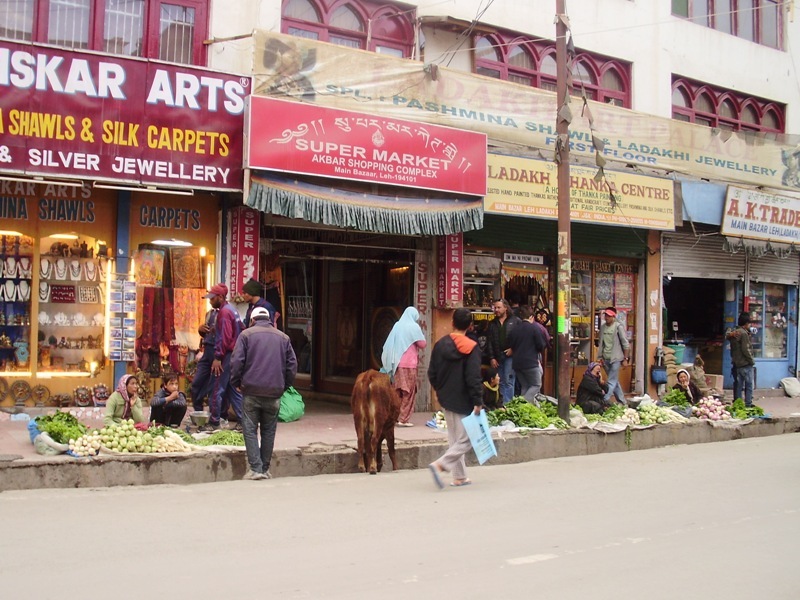 In the Chang Tang region of Eastern Ladakh, Tibetan nomadic still carry on the traditions of their ancestors, herding sheep and goats from which they gather pashmina which is valuable wool to sell in the markets of Kashmir. 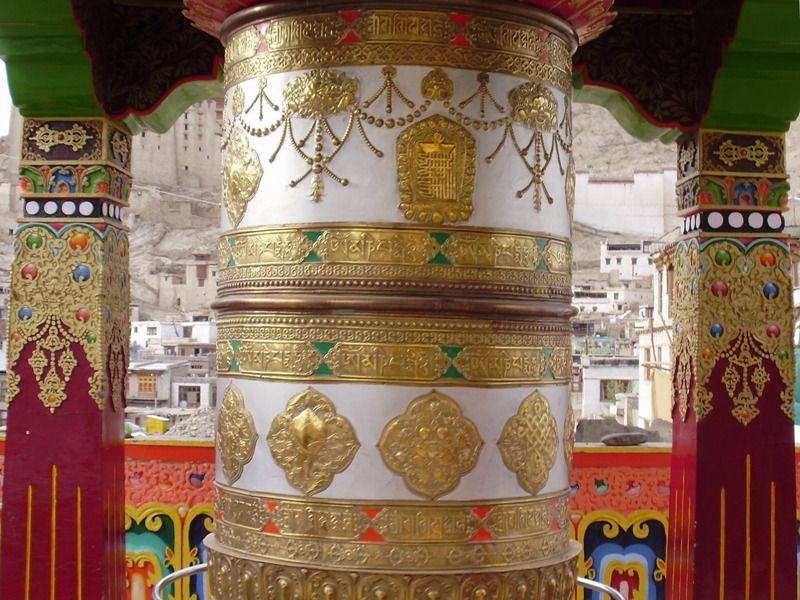 Ladakhis show strong Tibetan links in their appearance and were Buddhists until the last few hundred years. 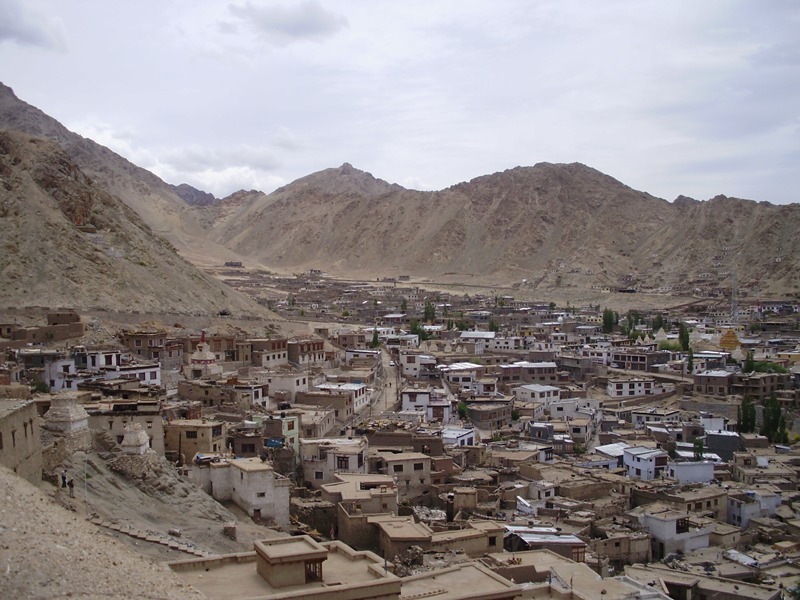 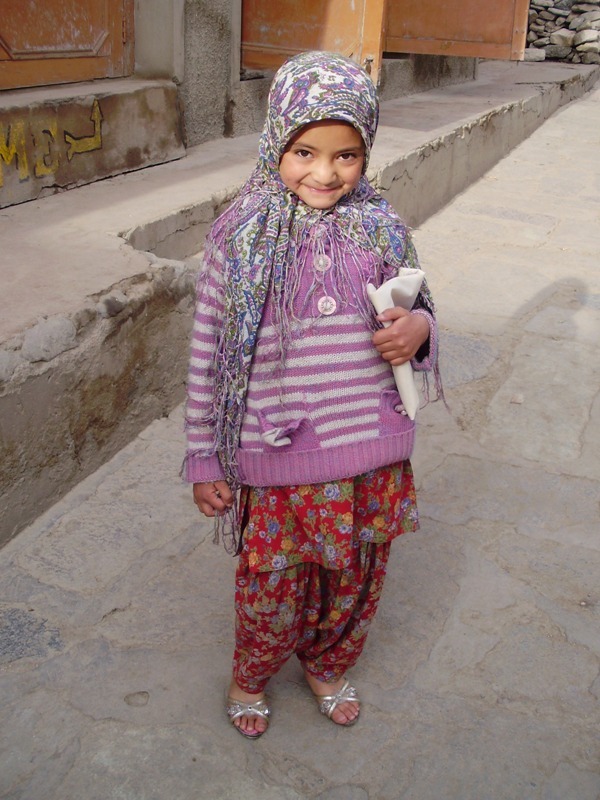 The principal language of Ladakh is Ladakhi, a Tibetan language. 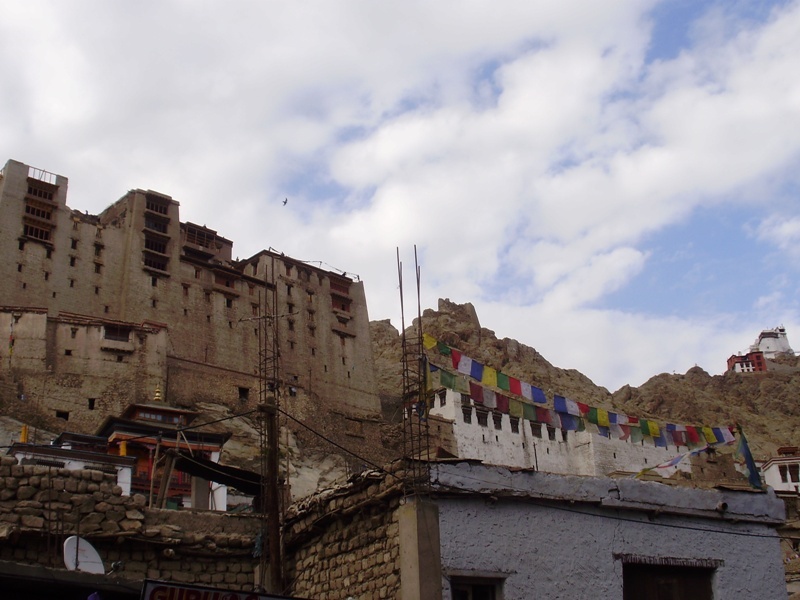 Their culture is similar to Tibetan culture, Ladakhi food has much in common with Tibetan food, the architecture of Ladakh contains Tibetan and Indian influences and the music of Ladakhi Buddhist monastic festivals, like Tibetan music, often involves religious chanting in Tibetan or Sanskrit as an integral part of the religion. 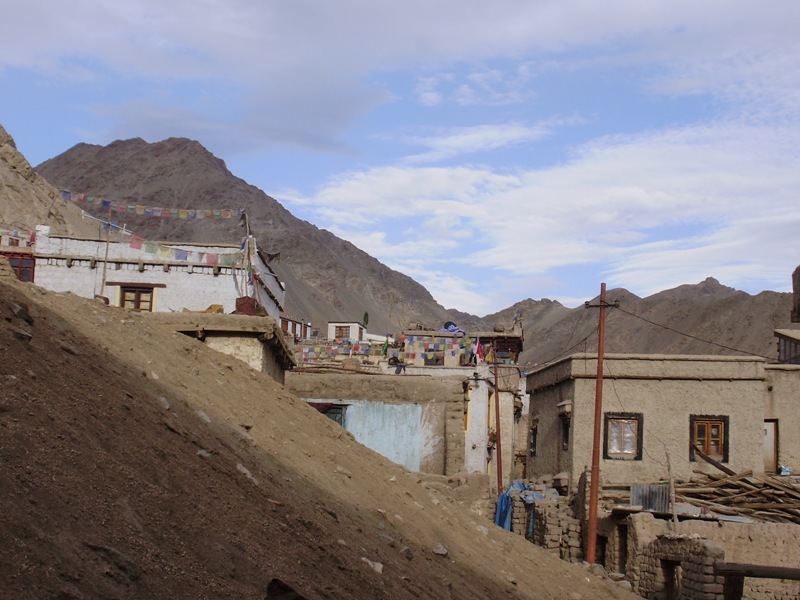 The feeling that I’m in Tibet I regained after two full days of acclimatization and rest, because I wanted to avoid getting altitude sickness. 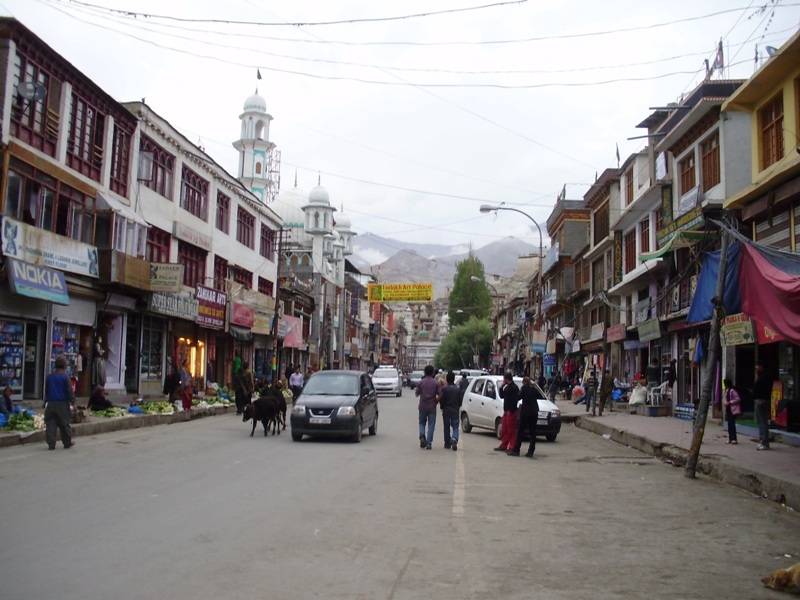 I went for a walk through Leh, so I recognize the places that I visited last year. 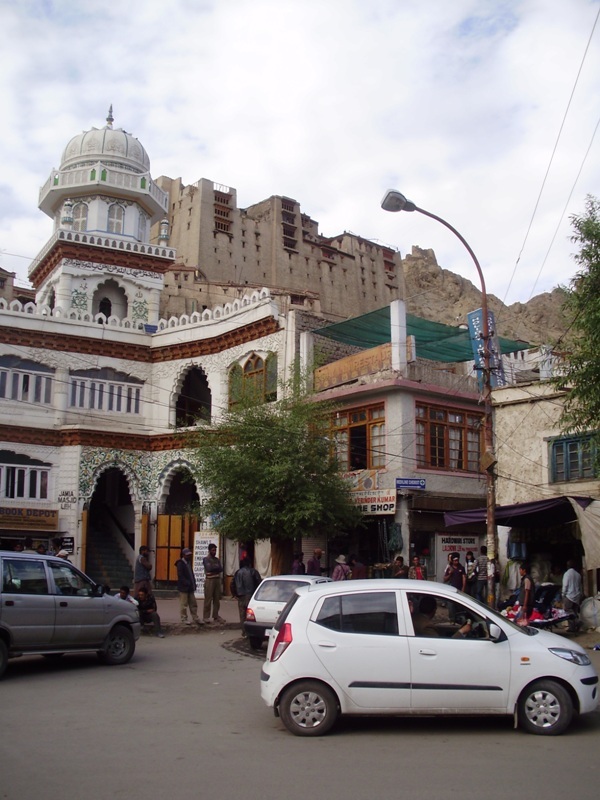 From the guest house I went through the main market towards the landmark of the city – Leh Palace. 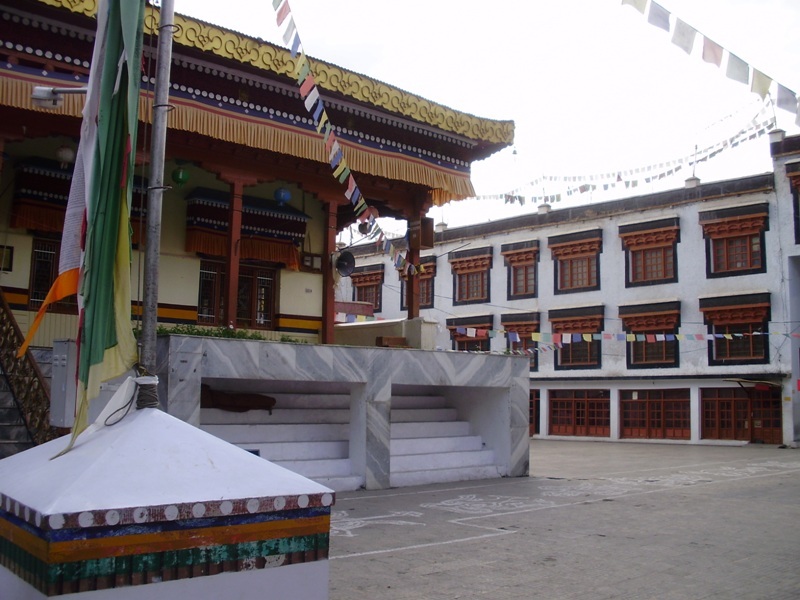 Along the way I stopped in a Buddhist monastery and the main mosque, which is located just opposite. 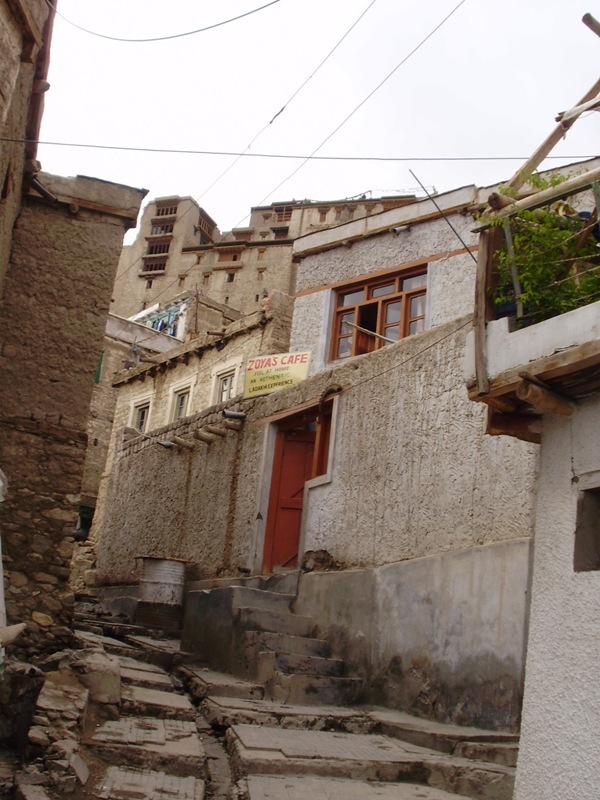 The road leads into the palace through the narrow streets around the houses of local residents. 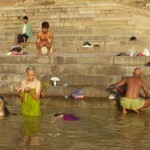 I was rising slowly upwards. 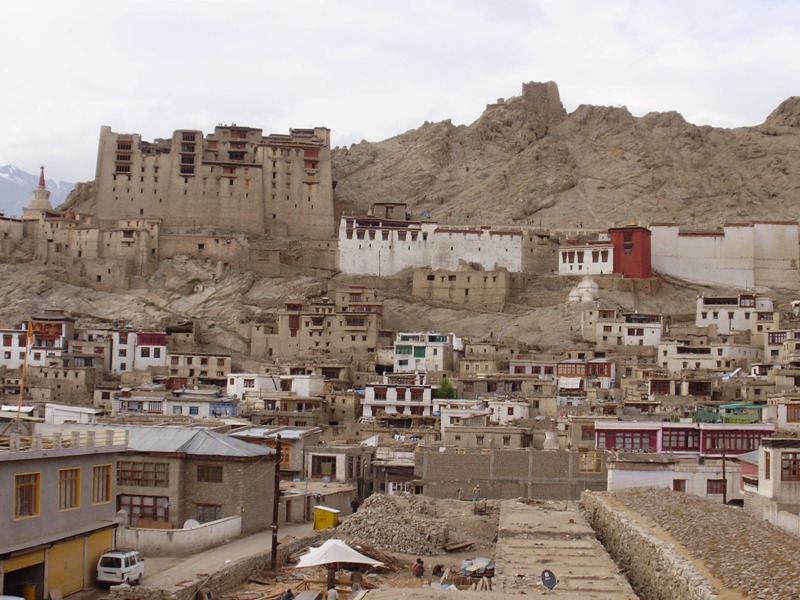 From the palace is a magnificent view of the city and distant mountains. 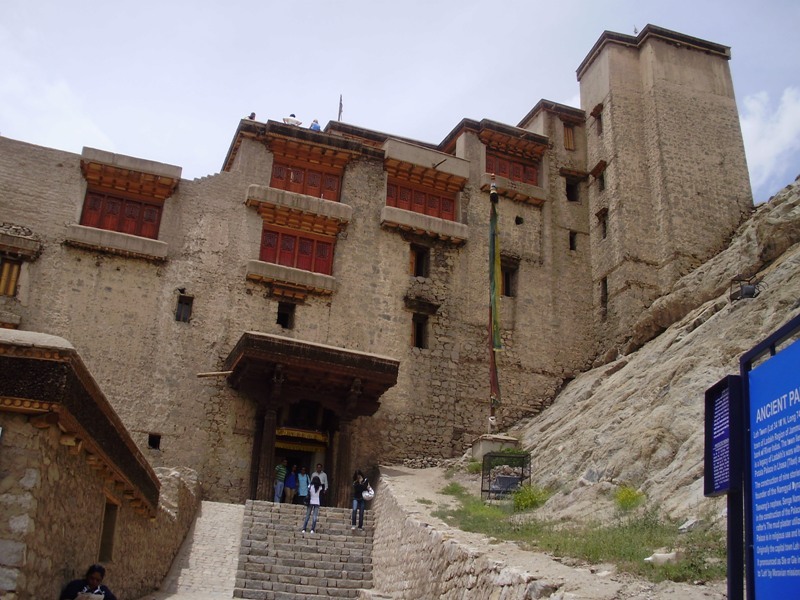 From the palace I went to the one place from where is great view of the palace and the nearby monastery. 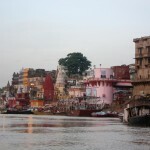 I sat on this place quite long time and received everything positive what place in India area offered me. 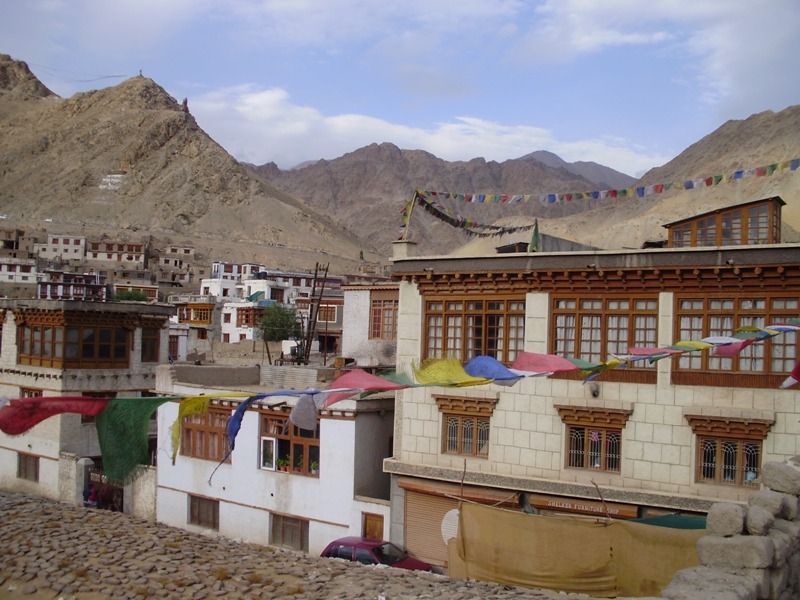 Ladakh can be reached quite easily. 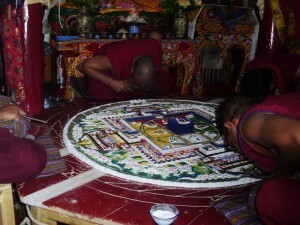 There are two land routes. 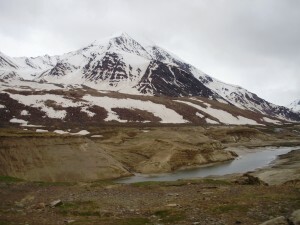 The first is road from Srinagar and second, which I completed is a 40 hour trip from Manali. 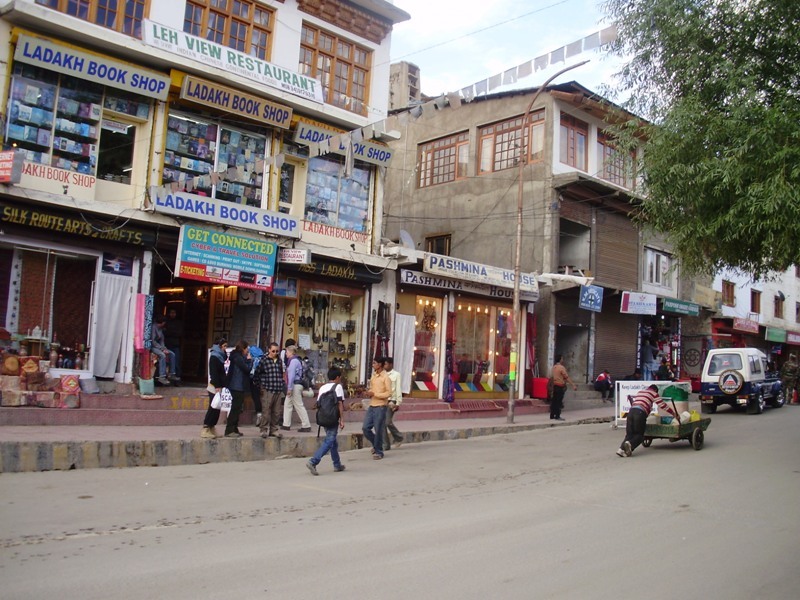 There are direct buses which connected Manali with capital city of India New Delhi, in which you can arrive from almost any major city on every continent. 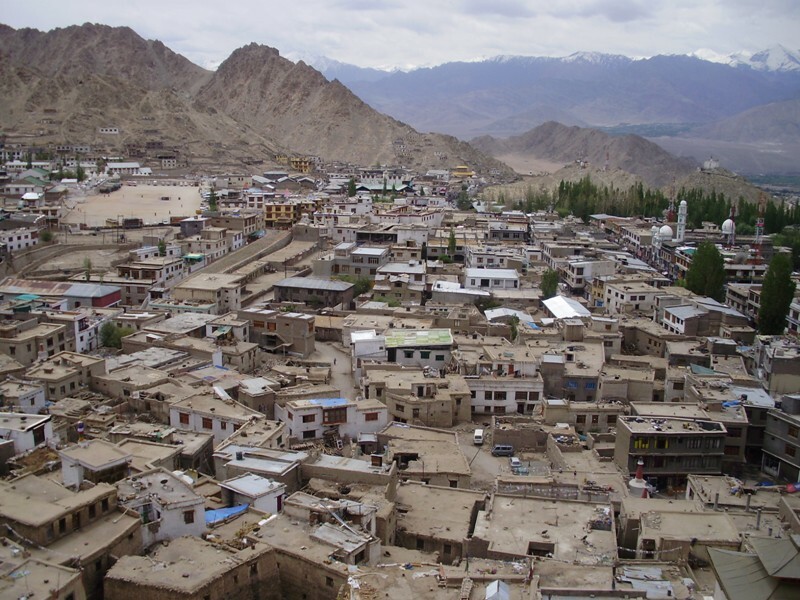 The most comfortable way you can get to Leh is by aircraft. 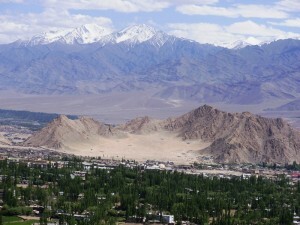 Several airlines offer direct flights to Leh from New Delhi.